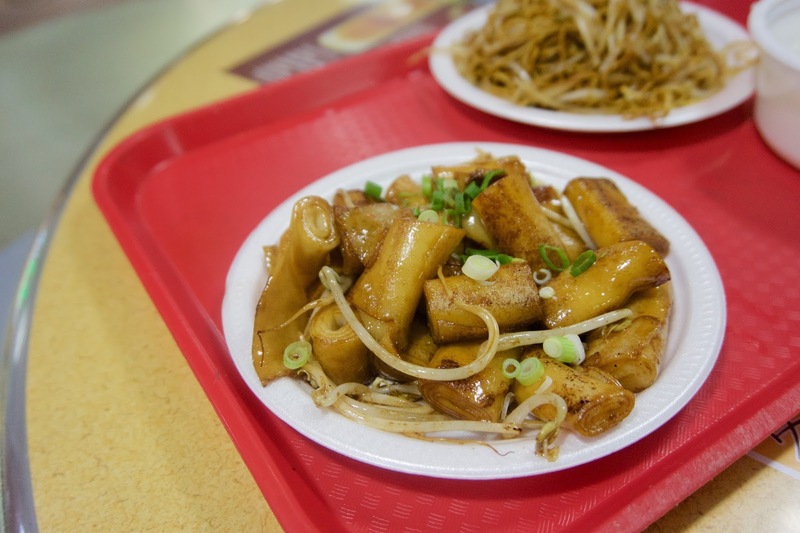 Vancity Noms: Fung May Cuisine - 2nd Visit! Back when we lived near Metrotown, I use to go to Crystal Mall 2-4 times a week...for food, what else?! ;) We literally lived 3 mins away! My mom would go there practically every day to pick up her newspaper. 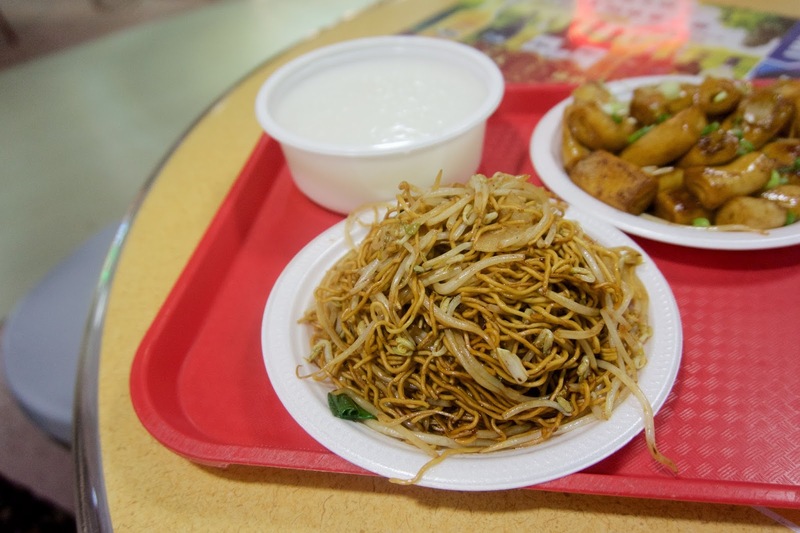 Fung May Cuisine is one of four Cantonese food stalls in the food court, the other three (Tasty Harmony, Libo Cafe, and Kingspark) are HK cafes, whereas Fung May serves traditional cantonese food! My mom had the pan fried rice rolls for breakfast, and she thought it was pretty decent!! She remarked that the wok hey flavour was strong, and the rice rolls themselves had a great mouthfeel!! She didn't think it was anything special though, but it was still pretty good for a food stall!! I had the chow mein, and it was pretty good as well! There was a ton of beansprouts in there and the wok hey flavour was quite strong. The noodles were cooked al dente, but the whole thing was pretty oily. Considering that this came in a combo set, this was a really good deal! Our breakfast combo also came with some plain congee!! It was pretty watery and lacking in overall substance, but it was a nice filler.